Albert Einstein: “Everything should be made as simple as possible. Our lives are complicated enough, taking a good photo shouldn’t be complicated. Unless you are a professional it is important for you to keep Photography simple. We all want to document as much as we can of an object or event, and taking a wide shot that shows everything is great, it can get distracting. One of the easiest techniques that you can use is get closer to your subject. Fill the frame. Remove distracting elements. If you have to explain a photograph to your viewer the purpose of the photo is lost. The image should be strong enough to stand on its own. Today’s cameras (DSLRS, Mirrorless, & Phone Cameras) are very sophisticated and are capable of creating images that are amazing. My phone, is capable of time-lapse, slow-motion, video, photo, square, and panoramic, and close up. I did not crop the image this is what I photographed. There are many ways to do this. You can crop a larger image down to this size, eliminating any thing distracting. There are no right or wrong ways to do this, this is my style. 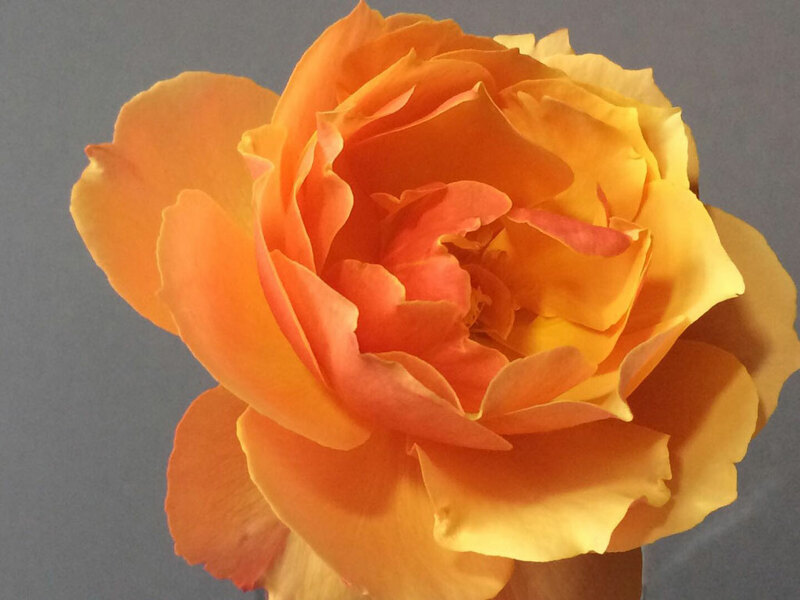 The image of the rose was photographed with an iPhone 5s. 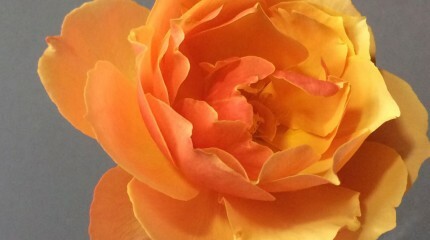 I shot this on the kitchen table with a grey card behind it to isolate and make the eye go directly to the rose. 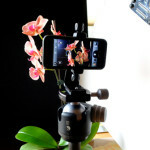 The example is an orchid with a black card as background, This will give you the idea. There is a sliding glass door facing west which illuminated the flower. I used a white card on the right to open up the shadows. 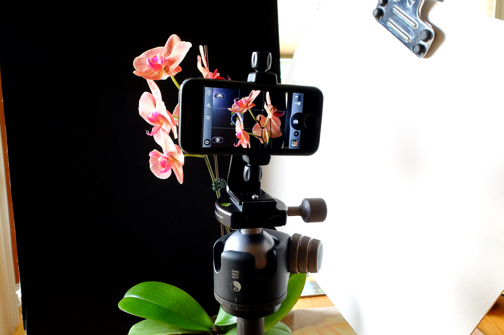 The iPhone is on a tripod to eliminate movement and help in composition. There is a feature to use a self-timer on the phone to eliminate shake or movement from me if I hand held the camera. You can hand hold the camera, but will have to take several photos to get one that is in focus and the composition you want. The photo editing programs available for the phone cameras are amazing and cost on average $1.99. Why can’t they do it for my computer I don’t know? The programs are intuitive and can be immediately used. Enough on the equipment as the Wise Man Said, “It’s the Wizard Not the Wand” learn what your camera is capable of doing and use it. A new camera with more features won’t make you a better photographer. Learn to use what you have.